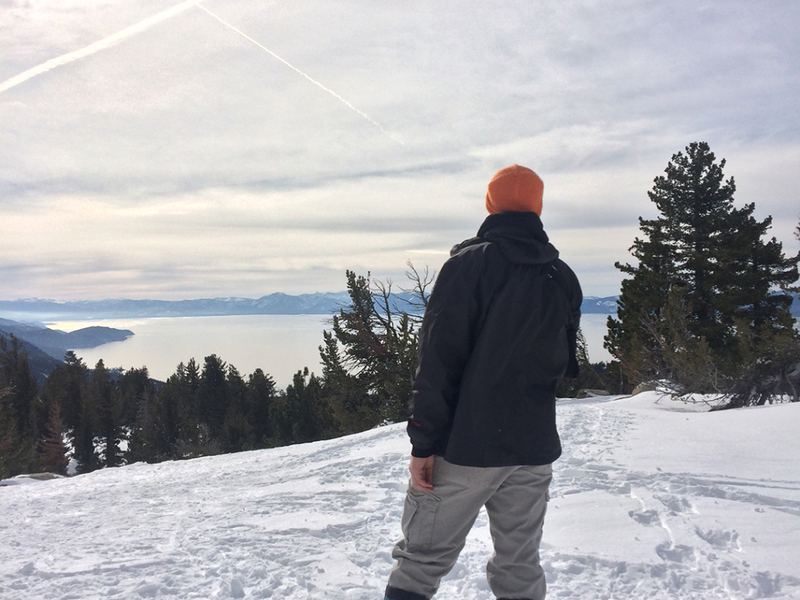 This rewarding snowshoe adventure near Mount Rose is a classic winter destination. Even though it only has 3 miles of round trip hiking, it's a solid workout - especially if you opt to forge your own trail through the powder. 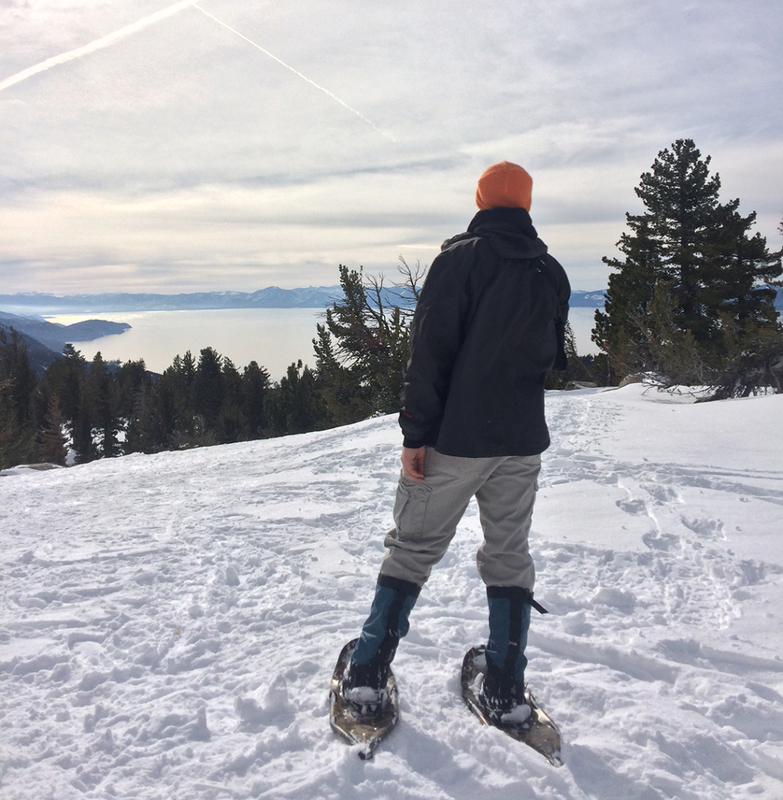 Because it shares a trailhead with the free Tahoe Meadows sledding hill, you can get up to the ridge and return to a few runs on the old toboggan. Tahoe Meadows (also known as Mount Rose Meadows) is a fun, busy place. On weekends it can get a bit crowded, but snowshoers generally disperse once they head into the meadows leading up to Chickadee Ridge. While there are no formal trails to the ridge, there are nearly always established tracks in the snow that traverse to the high point of the ridge. It's 1.5 miles one way to the open view points of the ridge. Your route goes through spacious meadows, snow-flocked pine forests, and eventually to the ridge itself. The views of Lake Tahoe and the surrounding areas are excellent, especially on a clear winter's day. The elevation gain is fairly modest, only about 400 vertical feet but with the trailhead starting over 8,500 feet, the thin air can make make your lungs burn a little on the way up. Even though it's a straightforward shot to the ridge, in stormy conditions it is possible to get disoriented. When the sky is clear, though, this is a pleasant and easy to navigate snowshoe. Thanks to the easy access and modest terrain, this is a good snowshoe for nearly everyone. The distance it short enough for most energetic kids. Those who want a better workout are free to plunge into untracked snow and double their effort - who doesn't love a good winter workout? Bring your camera for the views on the highpoint of the ridge. There's a lot of reward in terms of natural grandeur for modest effort. This is also a good place to take your dog if they are friendly with other dogs and people. The South Tahoe Meadows Trailhead is located 1.2 miles southwest of Mount Rose Summit off the Mount Rose Highway at the junction of the highway and Ophir Creek. The popular sledding hill is on the northwest side of the road; you can park in the lot here and cross the road to being your southeasterly trek to Chickadee Ridge. Remember there are no established trails but don't worry, finding your way is not hard -- there tends to be dozens of snowshoe tracks to follow. Friendly dogs are welcome!